JOHN BIGGERS (1924 - 2001) Shotguns. 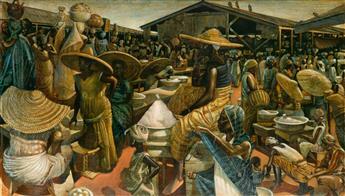 JOHN BIGGERS (1924 - 2001) Market Women, Ghana. 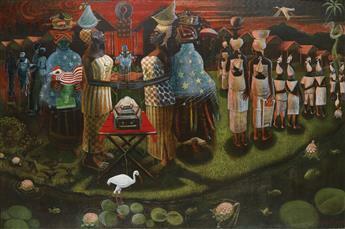 JOHN BIGGERS (1924 - 2001) At the Railroad. 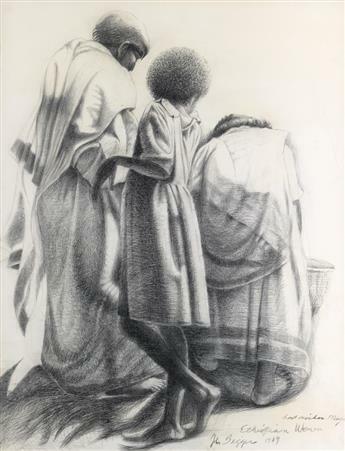 JOHN BIGGERS (1924 - 2001) The Man. JOHN BIGGERS (1924 - 2001) Prempeh II (Ashanti Royalty). 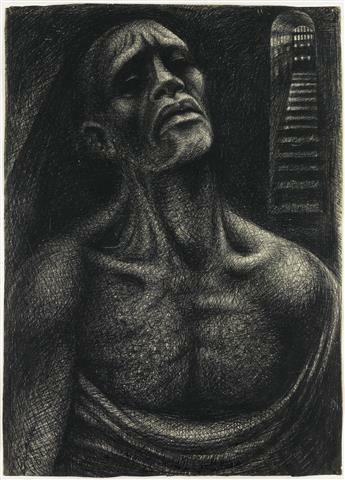 JOHN BIGGERS (1924 - 2001) The Doorway. JOHN BIGGERS (1924 - 2001) Standing Woman with Shawl.